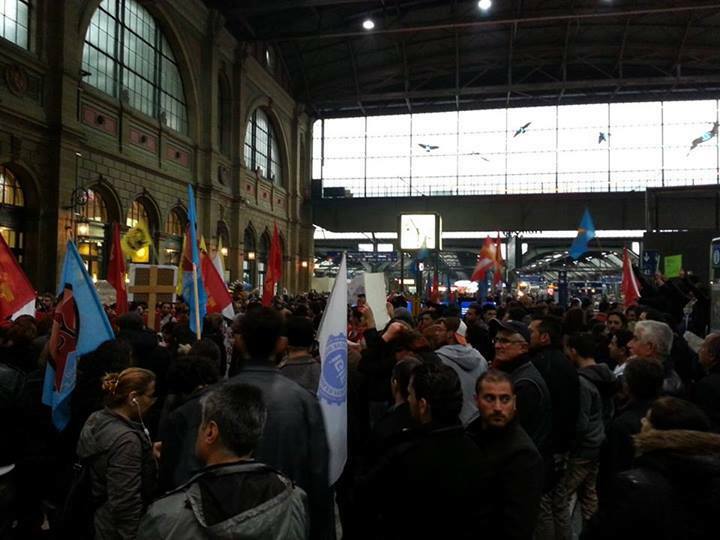 The citizens of Turkey living in Zurich showed their solidarity with the “Standing Man” protests which started as an alternative protest in Taksim. 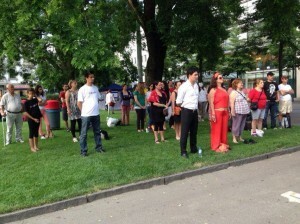 The stand still protest which was started by a performance artist Erdem Gündüz keeps on attracting people in Europe as well as all all around Turkey. Around 50 people has started a standing still protest to support the standing man protests at the most crowded and longest street Bahnhofstrasse of Zurich yesterday between 6pm and 8 pm.. Furthermore, the support to Gezi Park resistance in Switzerland is going on via the large demonstrations with participants from different regions of Switzerland. On the other hand, tents and stands were set up in June 13th in Stauffacher district of Zurich to support Gezi resistance. Stands are kept guard in rotation for days. The stands and tents were covered in Switzerland media. According to the coverage, there was around 30 people in the tent located in front of St. Jakob Church. There has been artistic performances as plays, concerts and dance to support Gezi Park. 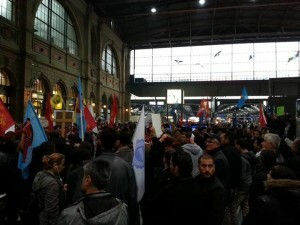 The people have been acknowledged about the increased number of protests in Turkey thanks to the supports in Zurich. This entry was posted in Worldwide protests and tagged switzerland, worldwide protests, zurich on 22 June 2013 .